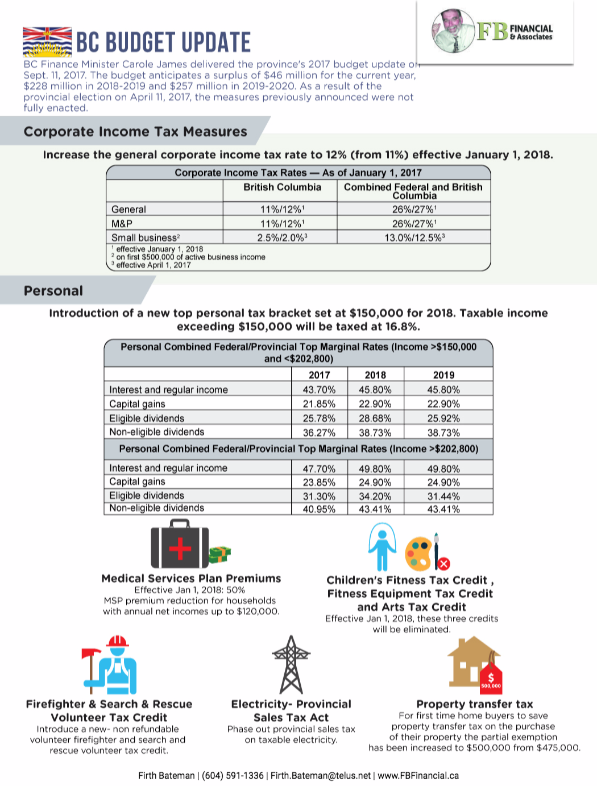 BC Finance Minister Carole James delivered the province's 2017 budget update on Sept. 11, 2017. The budget anticipates a surplus of $46 million for the current year, $228 million in 2018-2019 and $257 million in 2019-2020. As a result of the provincial election on April 11, 2017, the measures previously announced were not fully enacted.